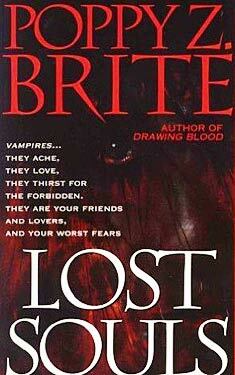 If you liked Lost Souls you might like these books. In the French Quarter of New Orleans the Mardi Gras celebrations conceal a different group of pleasure-seekers. For Zillah, Molochai and Twig, the party has been going on for centuries, fuelled by sexual frenzy, green Chartreuse and innocent blood. Born in horror and brought up in suburban Maryland, Nothing has always suspected he's different from other teenagers - and when he has his first taste of human blood, he knows he is right. Ghost is the singer of the band Lost Souls. When Nothing is drawn into Zillah's fatal circle, Ghost has to decide whether to save the boy - or abandon him to his bloody birthright. "Lost Souls" is a dark, decadent and delicious work of fantasy from the mistress of modern horror. MY God, she wrote it when she was nineteen.